Everyone in Pune and Mumbai love ordering their fresh meals from Holachef, but did you know there's a simple way to get money off when you do? Here at DealSunny we maintain a list of all the latest Holachef coupons, which include everything from discount coupons to 'buy one get one free'. What's more is we keep everything on one simple page, so you never have to waste time searching the web for an offer that actually works. All you have to do is browse through the list and when you see a discount or deal that you like, click the link and the full terms and details on how to redeem it will be revealed. Holachef.com always has great menus and prices, but you can save even more when you visit DealSunny first! All cashbacks will be in the form of Brownie Points in your Holachef wallet only.Valid in Mumbai & Pune only. 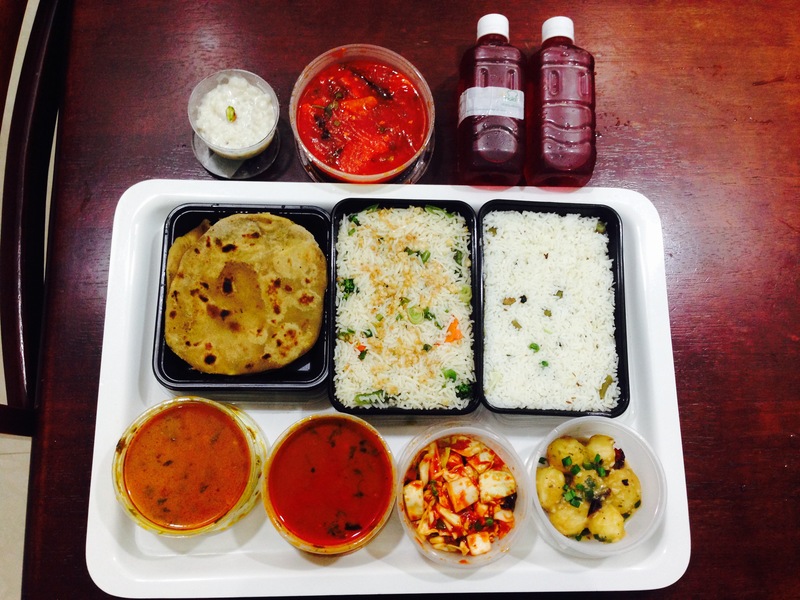 Holachef is a chef made fresh meal delivery service that caters to customers in Mumbai and Pune, India. The privately held company allows hungry citizens to order from an ever changing breakfast lunch and dinner menu, with easy access at Holachef.com or through the mobile app for iOS and Android devices. As well as the great selection and pricing, what keeps customers coming back for more is the number of offers and deals available. Many of these are easily redeemed with special Holachef coupons, and we just so happen to keep an up to date list of these right here at DealSunny. So remember, before you order your next meal check back here to ensure you make the most savings possible! Holachef was founded in 2014 by food lovers Anil Gelra and Saurabh Saxena. They wanted to offer a broad range of cuisines with restaurant quality, which is not typical for typical "takeaway" services. They have partnered with chefs and kitchens throughout Pune and Mumbai, to offer a fast and fresh experience. "Holachef is a perfect blend of freshest ingredients, authentic recipes, wide variety of cuisines and the expertise of select chefs," reads their about page. Holachef offer an almost full restaurant style menu, with options for breakfast, lunch, dinner, and snacks, including traditional Indian and internationally inspired cuisine. You can also buy beverages to wash down your food. To keep things interesting, menus are always changing, with expert chefs making the decision of what they'd like to cook next, instead of relying on the same boring list of meals. From light sandwiches to full blown evening meals, there's something for everybody at Holachef. Before placing an order remember to browse back here to DealSunny, so you can find an appropriate Holachef promo code for your choices. Some codes are applicable on all orders, while other might only be applicable to certain meals or combos. You can only use one per order, so make sure it's the one that will get you the best deal possible! Typical Breakfast menu items might include: Fruit Platters, Chilli Guava, Doodhi Parathas, Masala Idli with Sambhar, Shengdana Poha with Sev and Corn Cutlets, Spanish Omelette with Brown Bread Slices, Aloo Raswale with Pooris, and others. For Lunch you might find: Mediterranean Cottage Cheese Pizza, Creamy Veg Cheese Sauce Macaroni with Garlic Bread, Chicken Korumulugoo with Chapatis, Curry Leaf Rice with Sambhar, Awadhi Prawns with Steamed Rice, Cheese & Chicken Panini with Cream of Mushroom Soup, and many others. For Dinner dishes often include: Rajwadi Murgh Korma with Chapatis and Teekha Murgh Tikka, Corn & Basil Penne Aglio Olio with Chilli Garlic Croutons and Sweet Potato Mash, Macaroni in Arrabbiata Sauce with Roasted Potatoes and Dill Cucumber Salad, Bhuna Paneer Chana Dal and Veg Handi with Chapatis. You can also buy Snacks and Desserts like Blueberry No Bake Cheesecake, Kala Jamun, Nutella Crepes, Grilled Chicken Drumsticks, Achari Chicken Tikka Sandwich, Masala Buttermilk, and much more. You will also find beverages and condiments to add to your order. Regular Discounts: Like a sale in a store, these regular discounts allow you to make savings on select menu items for a limited time only. All you have to do is make the order as normal to benefit for the temporary price drop. Since these offers aren't for the long-term you should order as soon as possible if you see something you fancy. Free Food: Their popular free food offer is a typical "Buy One Get One Free" deal, where you get a second dish after buying one, or a free snack or side. This offer runs for a extended period but is not always available. App Exclusive: From time to time customers of the app are given exclusive deals that aren't available on the main site. So if you have an iOS or Android device, it's always a good idea to get the app so you don't miss out. 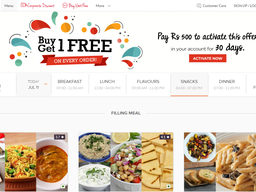 Holachef Coupons: These are special codes that you are prompted to enter during the online checkout process to redeem several great discounts and deals. Snap these up from our list here at DealSunny before they expire! Note, you can only use one coupon per order. Combo Deal: Order over a certain amount or buy a set combo of items, and get an overall discount. Although you should always check back to DealSunny before making an order, you can also find some exclusive deals by signing up to their email newsletter. It's also a good idea to follow Holachef on social media as they are active on Facebook, Twitter, and Instagram. From time to time they'll send out messages with special offers. Holachef has two main payment options, you can use their online gateway to pay through the site or app, or use Cash On Delivery where you simply pay the delivery driver when your order arrives. If paying through the site or app, you can use most common Indian issues credit, debit or cash cards, including Mastercard, Maestro, Visa, Visa Debit, American Express, and Diners Club. You can also add funds to a wallet attached to your account, so there's instant cash there for future orders. If you wish to redeem a Holachef promo code, this can be done just prior to the online payment step. You will notice a special box where you can enter said code, and if valid your total order cost will be updated according to the terms of the coupon. You may only use one Holachef coupon code per order, but they can sometimes by combined with other non-coupon offers for even deeper savings. To place an order at Holachef you will either have to go to the website in your browser (Holachef.com) or download the mobile app for Android (from the Google Play store) or iOS (from the Apple App store). Either way the actual process is very simple. First you will have to choose your location or enter your pincode, which should fall within Pune or Mumbai. You will then be presented with the day's menu items, with tabs for Breakfast, Lunch, Dinner and Snacks. Much like an eCommerce site you can add your choices and quantities to your cart at the hit of a button or tap of the screen. Photos, ingredients and other info is all there to help you make an informed choices. Then just before you reach the payment step you can enter any Holachef coupons to get the corresponding discount. You can either choose to have your order delivered as soon as possible or at a delivery slot later in the day. Your freshly cooked meal or snacks should be with you within an hour from order confirmation, and a transported in such a way that will keep everything warm or cool (depending on what you ordered). The packaging comes in a ready to eat fashion with all the required cutlery, so you don't need to use your own plates or cutlery. The packaging is also microwaveable in case you want to reheat the food later. Deliveries can be tracked from within the app, so you know when the order is on its way. If you have any problems with your order, such as it arriving late, not arriving at all, items missing, or poor quality food, you should get in touch with customer support right away. Some grievances can be solved quickly (such as missing items being dispatched) others may require some processing. In the case that you get a refund, remember that this will only be the actual amount charged if you applied any Holachef coupons to get a discount.